The NAACP Papers database (ProQuest) was added to Columbia’s resources in Fall 2016. 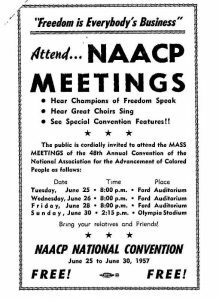 It consists of six modules reproducing a wide range of primary source materials from the National Association for the Advancement of Colored People (NAACP). 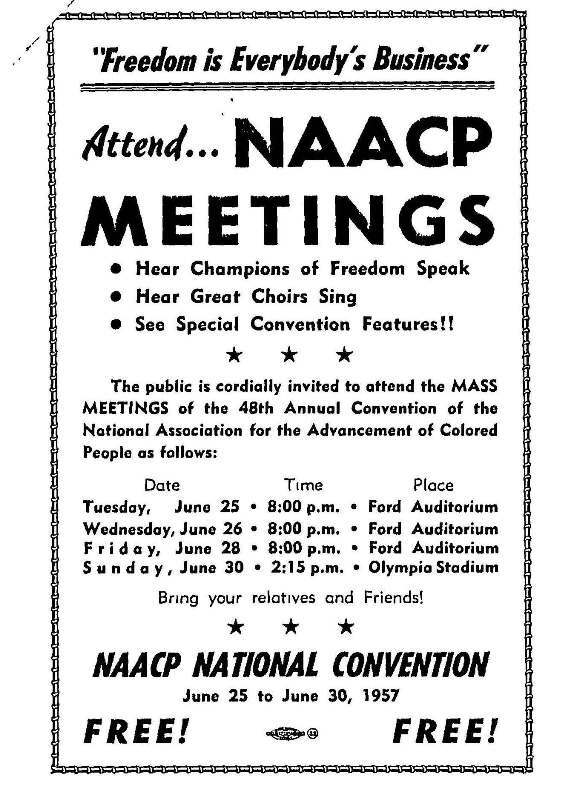 NAACP’s groundbreaking efforts. 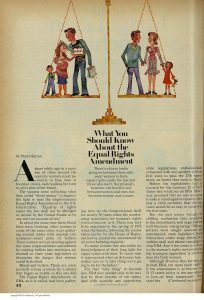 With a timeline that runs from 1909 to 1972, users can examine the realities of segregation in the early 20th century to the triumphs of the passage of the Civil Rights Act of 1964 and the Voting Rights Act of 1965, and beyond.” From ProQuest brochure NAACP Papers. This entry was posted in Databases, News, Recently Added on April 11, 2017 by John Tofanelli. 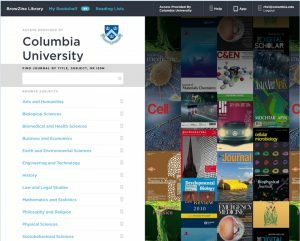 The following online resources have become newly available to Columbia University researchers since September 12, 2016. We hope that you may find something of interest here. Church Missionary Society periodicals has been enhanced by the addition of Module 2: Publications of CMS medical mission auxiliaries. Colonial America has been enhanced by the addition of Module 2: Towards Revolution. Early European books: printed sources to 1700 has been enhanced by the addition of Collection 4. The researcher follows many paths in search of scholarly information — chasing down specific items recommended by colleagues using CLIO and the Catalog, using the same tools to follow the footnotes and delve into an author’s sources, searching in Google Scholar, Web of Science, Scopus, or collections of online full text to follow the footnotes “forward,” (i.e., to see who else has cited a work), or mining gateways like EbscoHost and Proquest or individual databases for their field to discover works that have been written on a particular topic. A less systematic, but often equally fruitful approach has long been serendipity, the chance identification of relevant or related material that frequently occurs when one is browsing a collection, say, while looking for a particular item on the shelves in the library stacks and notices another interesting title just a . In recent decades, with the movement of much material to offsite collections and the replacement of more and more print texts by online electronic ones, many scholars have lamented the declining opportunities for this kind of tangential discovery. Happily, Columbia and other libraries have been circling back to a revival of this approach. A wonderful, though still little known feature of our current online catalog is the option it provides for a Virtual Shelf Browse. When a full record is displayed on the bottom of the screen, the shelf browse option appears at the bottom of the page, and can be turned on by simply clicking a button. One can then browse back and forth along a virtual shelf that brings all of Columbia’s library departments together. Browzine is a tool that seeks to enhance the declining opportunities for serendipity in our periodical reading rooms, as more and more titles become available in online format only. 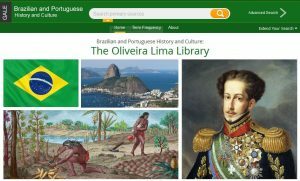 Browzine works with an impressive list of publishers to bring many (but far from all) of the journals in our collection into a library from which individual titles can be retrieved and browsed, starting with the most recent issue. Individual articles can be displayed on screen and then downloaded to one’s desktop or captured using a citation management software like Zotero. After creating a user account (don’t use your Columbia password! ), a reader can place the journals most likely to be consulted on a four personal bookshelves. An app for portable devices can also be downloaded, enabling users to sync to their online account and download and read articles there. The number of publishers working with Browzine is growing. If there is a journal that you would like to see included here, feel free to contact us at rhs1@columbia.edu. This entry was posted in Databases, News on October 4, 2016 by Bob. Please find below links to CLIO records for new databases related to the humanities and/or history acquired by Columbia University Libraries since our last newsletter was published (on March 1, 2016). 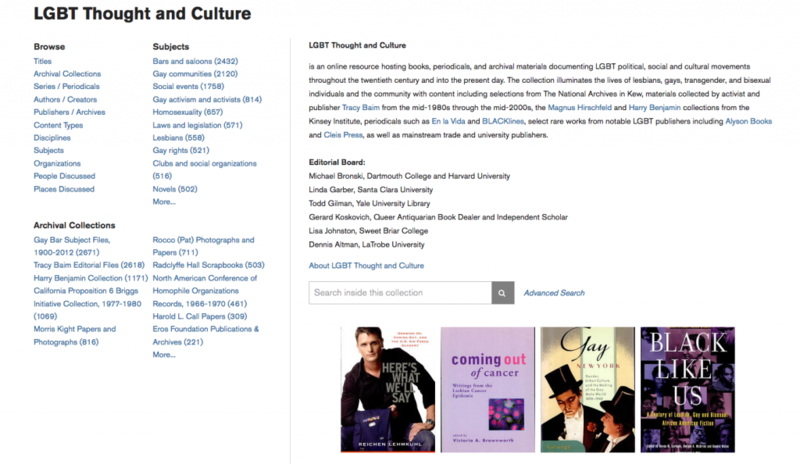 For a fuller descriptive treatment of selected new databases, please see Featured Resources: New Databases in LGBTQ Studies. This entry was posted in Databases, News on September 30, 2016 by Anice Mills. The following databases have either been newly acquired or improved since the last “New and Improved Databases” column was published in Humanities & History Division Newsletter (in our fifth issue, September 2015). This collection makes available for research the records of the Iglesia Presbiteriana-Reformada en Cuba (IPRC) and predecessor Presbyterian churches and missions in Cuba, including a complete run of Heraldo Cristiano, the church’s newsletter, 1919-2010, which provides a framework for the history of the church. Colonial America will be released in five modules, organized thematically. We currently have access to: Module 1: Early Settlement, Expansion and Rivalries. This first module documents the early history of the colonies, and includes founding charters, material on the effects of 1688’s Glorious Revolution in North America, records of piracy and seaborne rivalry with the French and Spanish, and copious military material from the French and Indian War of 1756-63. 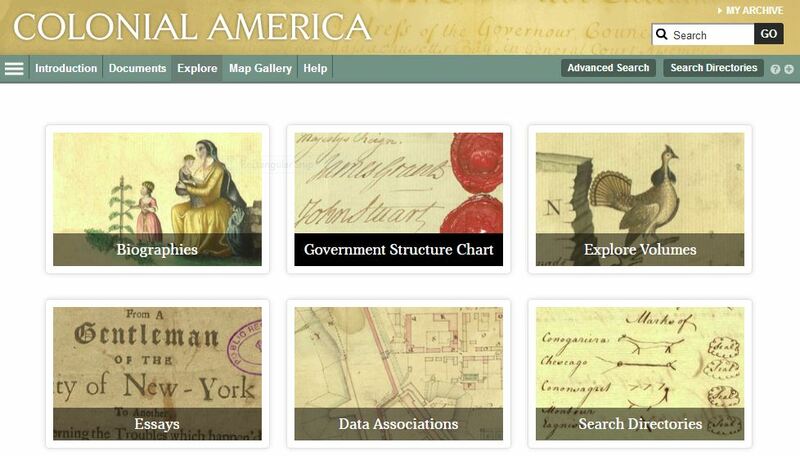 New modules are scheduled for publication annually through 2019, at which point Colonial America will be complete. The complete database will consist of all 1,450 volumes of the CO 5 series of Colonial Office files held at The National Archives in London, plus all extracted documents associated with them. Migration to New Worlds explores the movement of peoples from Great Britain, Ireland, mainland Europe and Asia to the New World and Australasia. This first module concentrates on the period 1800 to 1924 and covers all aspects of the migration experience, from departures to arrival and permanent settlement. Includes letter collections, travel journals, diaries, audio files of oral histories, scrapbooks, government papers, and many other types of materials. 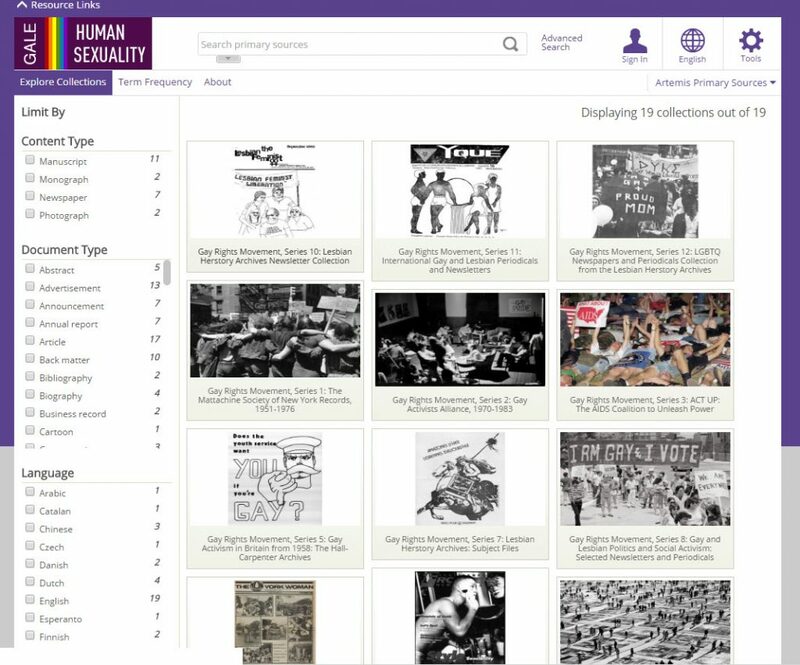 The full-text database covers over 280,000 pieces of historical documents from 302 periodicals published during 1833-1911. The extensive collection has covered almost all the periodicals published during such critical periods later known as the Opium Wars, Westernization Movement, Reform Movement of 1898 and Revolution of 1911. The following databases have been improved by the addition of substantial new content. 2. Political, economic, and military conditions in China: reports and correspondence of the U.S.
Christian-Muslim Relations: A Bibliographical History, is a general online history of relations between the two faiths as represented in works written by Christians and Muslims about the other and against the other. It has recently been expanded by the addition of Part II, which covers all parts of the world in the period 1500-1914. This resource has been enhanced by the addition of Collection 2, which contains early printed volumes from the Biblioteca Nazionale Centrale di Firenze (National Central Library of Florence). Collection highlights include more than 770 editions printed by Aldo Manutius and the Aldine Press, founded in Venice in 1495; marginal notes written by Galileo on his own personal copies of works by Euclid, Petrarch, Ariosto, Tasso and Horace; rare first editions of the works of Dante, Petrarch and Boccaccio; volumes by the controversial preacher Girolamo Savonarola; and over 780 16th- and 17th-century editions of sacre rappresentazioni, popular verse plays depicting Biblical scenes, episodes from the lives of the saints and Christian legends. Volume IV has recently been added to the existing database. Music Online: Classical Scores Library is a series of four volumes with a mission to provide a reliable and authoritative source for scores of the classical canon, as well as a resource for the discovery of lesser-known contemporary works. The collections encompass all major classical musical genres and time periods from the Middle Ages to the 21st century. 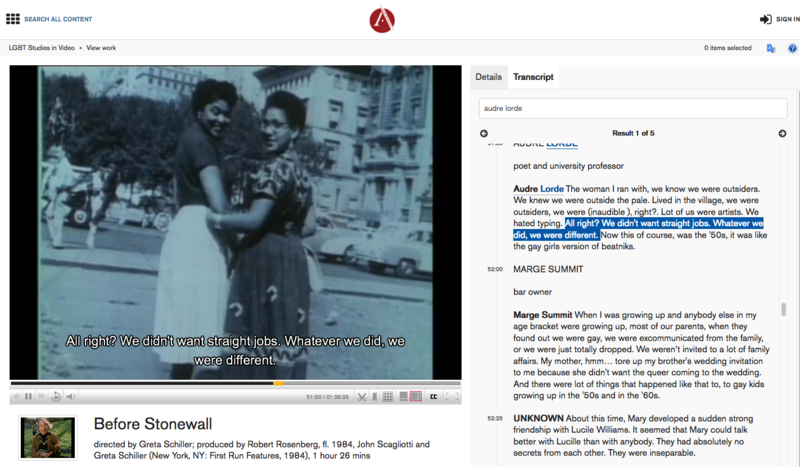 ProQuest History Vault. Southern Life and African American History, 1775-1915, Plantations Records. This resource has been enhanced by the addition of Part 2. The records presented in Part 2 come from the holdings of the University of Virginia and Duke University. This database includes content from two microform series: Records of Ante-bellum Southern Plantations from the Revolution through the Civil War and Records of Southern Plantations from Emancipation to the Great Migration. This entry was posted in Databases, News on February 16, 2016 by John Tofanelli. Drama Online is an exceptional collection of digital texts, images, audio, and video that together meet the full range of teaching needs for theatre studies. A product from Bloomsbury Publishing, the foundation of this resource is comprised of the core collection featuring 1200 titles from Bloomsbury’s Methuen Drama, Arden Shakespeare Series, and Faber and Faber. There are production photos from the Victoria and Albert Museum Performance Archive and the American Shakespeare Center. The dramatic works span the Greek Classics to modern drama with an international roster of major playwrights represented. Also included are essential foreign works in translation. There are critical texts and short biographies for playwrights. Navigating the resource is simple and direct. A variety of access points to the content are provided enabling a search by either play titles, playwrights, genres, periods, or context and criticism. In addition to the core collection, the most recent additions include approximately 400 titles from Nick Hern Books, one of the UK’s leading performing arts publishers, and video content from the Shakespeare’s Globe on Screen Film Collection. This video collection launched with twenty one stage productions recorded live on the Globe stage and now presented in high definition and surround sound. Productions feature outstanding performances from Mark Rylance, Stephen Fry, and Roger Allam. 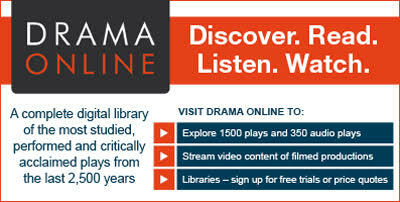 Drama Online is a dynamic resource and an exciting addition to our library collection. 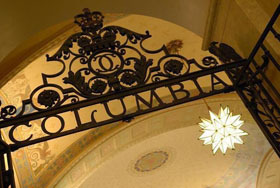 You can access the resource through our Databases search from the Columbia University Library website. If you have questions about Drama Online, feel free to contact Nancy Friedland (nef4@columbia.edu), Librarian for Film Studies and Performing Arts. This entry was posted in Databases, Performing Arts on February 12, 2016 by Nancy. 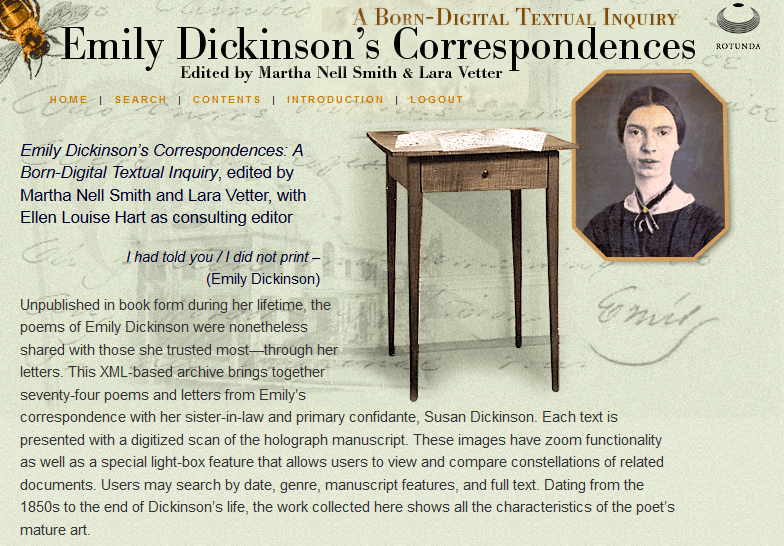 Emily Dickinson’s Correspondences: A Born-Digital Textual Inquiry (EDC) is an XML-based archive of poems and letters from Emily’s correspondence with her sister-in-law and primary confidante, Susan Dickinson. 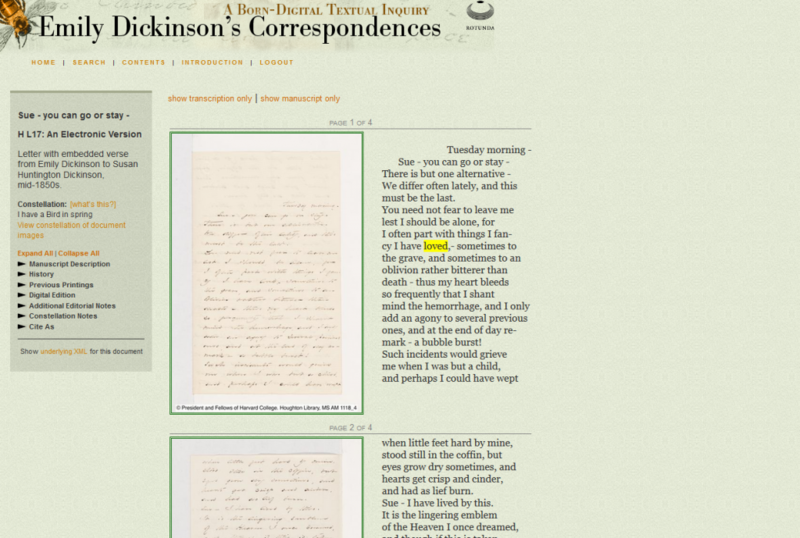 Each text is presented with a digitized scan of the holograph manuscript. These images have zoom functionality as well as a special light-box feature that allows users to view and compare constellations of related documents. It is a product of the Dickinson Electronic Archive (DEA). This entry was posted in Databases, News on January 13, 2015 by Sarah Witte. 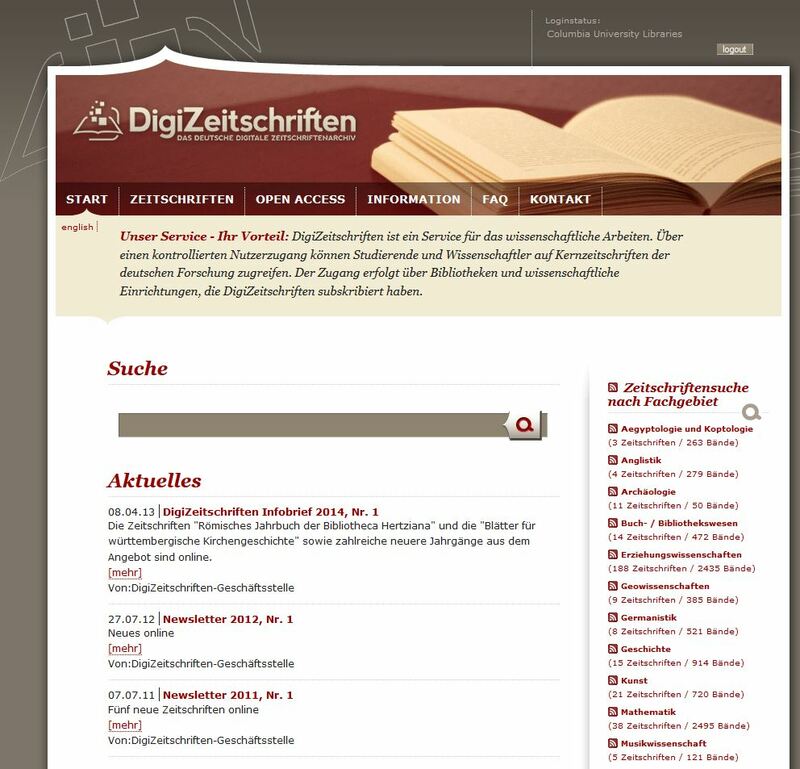 The Columbia University Libraries have trial access to DigiZeitschriften, a database featuring 200 German academic journals spanning 19 disciplines. The database has 500,000 articles, 16 million pages, and is growing constantly! The trial will run through November 30, 2014. Please forward questions or comments to Meredith Levin, Western European Humanities Librarian, at mjl2209@columbia.edu. This entry was posted in Databases, News on October 21, 2014 by Meredith Levin.